The mesh with LODs is imported to Unigine as a single object with a number of surfaces representing LODs. LODs settings allows you to specify the distance when a surface should be switched to another. This article demonstrates how to export a mesh with LODs from a 3D editor, add it to the Unigine engine and specify settings of mesh's LODs surfaces. The Level of Details section of the article on Content Optimization. To optimize your project by using LODs, you should create one or more LODs for a mesh object. They should be exported as separate surfaces of the same mesh, and each separate surface will be a LOD of the mesh. 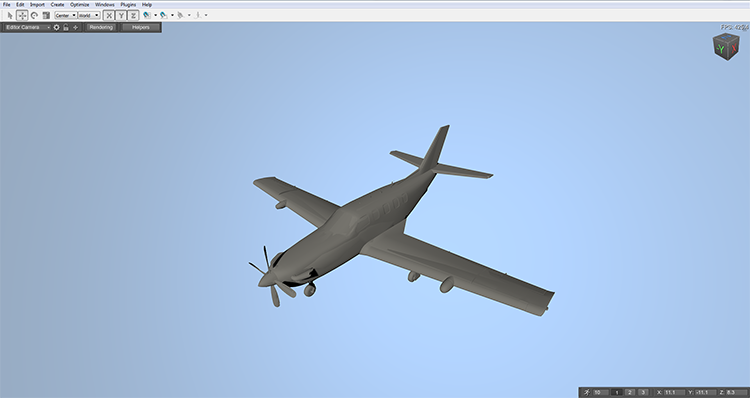 Within this tutorial, we will use the model of a plane from UNIGINE SDK Browser. This model already contains 3 LODs for the plane's body, 3 for windows and another 3 LODs for other parts of the plane. 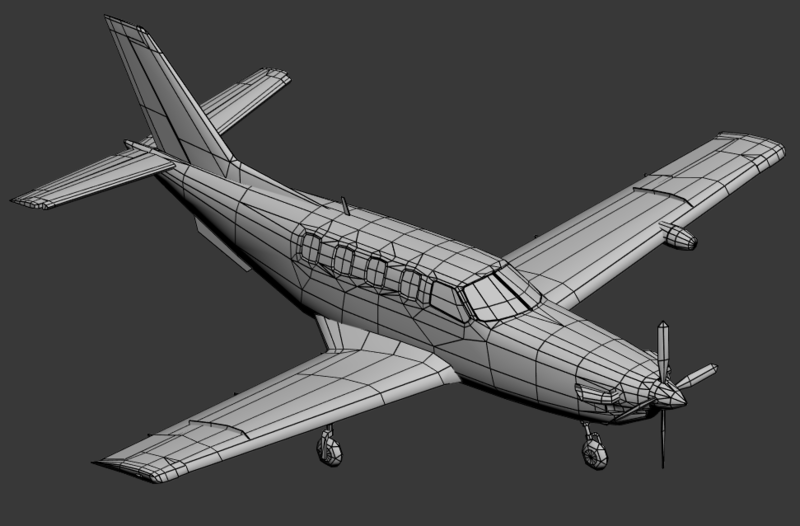 Export the models as an *.fbx file. In the result, you will get a mesh with 9 surfaces named after LODs. In this section we provide an example of values, you can specify your own values. Set the Maximum Fade distance to 10 units. It will prolong the distance over which the LOD surfaces are still visible and provide a smoothly fading. 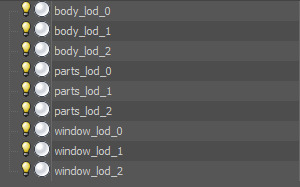 You should specify the same settings for each surface of the same LOD. Different surfaces from the one level of details should have the same settings to appear and disappear simultaneously. These parameters allows you to specify to which surface or node up in the hierarchy the minimum and maximum visibility distances will be measured. Use the default values of 1. In this case, all surfaces of the mesh will be switched simultaneously, because their distances will be measured not to surfaces themselves, but to the bounding box of the whole mesh.